Your ship is constantly running out of power – even flying costs a lot of energy, let alone bumping into obstacles or being hit by enemy fire. Power restoration orbs are scarce and enemies are plentiful. 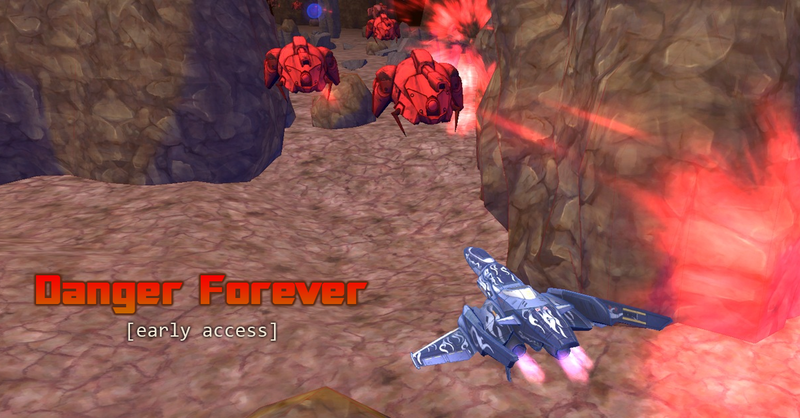 This is Danger Forever -- an infinite shoot’em-up.